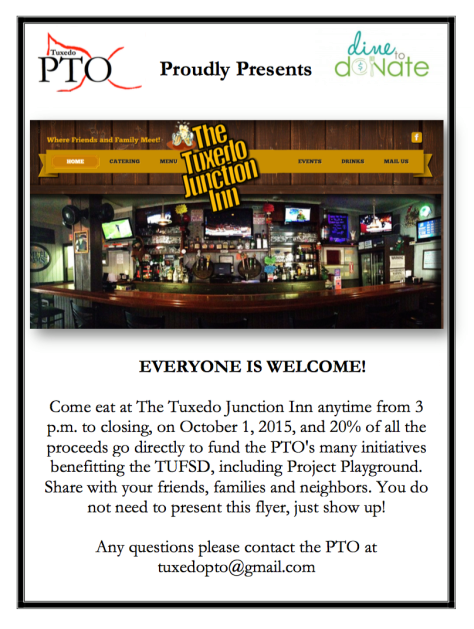 Please join in supporting the Tuxedo PTO TODAY for the first Dine and Donate/Restaurant night at The Junction. As always they are continuing to generously support the PTO by hosting the first of our monthly dine and donate nights. Every person that eats at the Junction from 3pm to close on October 1st will contribute 20% of their bill to our students. Don’t forget to share the news!